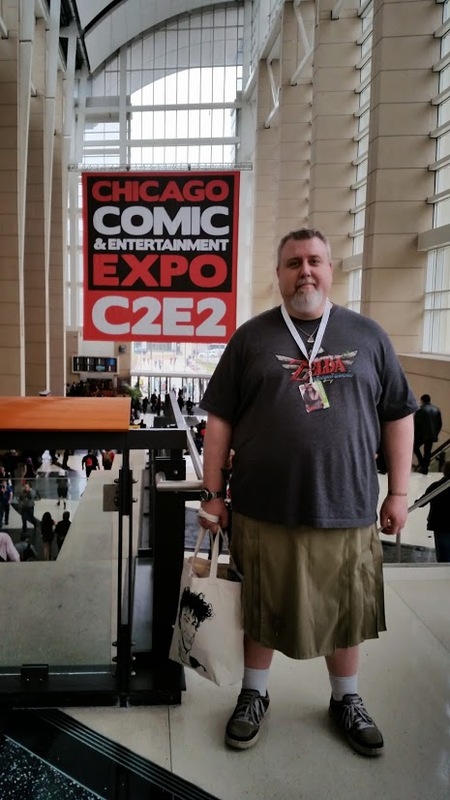 As you might’ve heard via: Twitter, Facebook, this blog, word of mouth, or my sky writing campaign, I was at the Chicago Comic Con this year. I was invited to join in on a panel called “Out of this World!” It was a panel of science fiction authors, which made it doubly cool that I, a fantasy author, was invited to participate. The attendance hit a new record this year of 70,000, which I can only assume was because I was there. 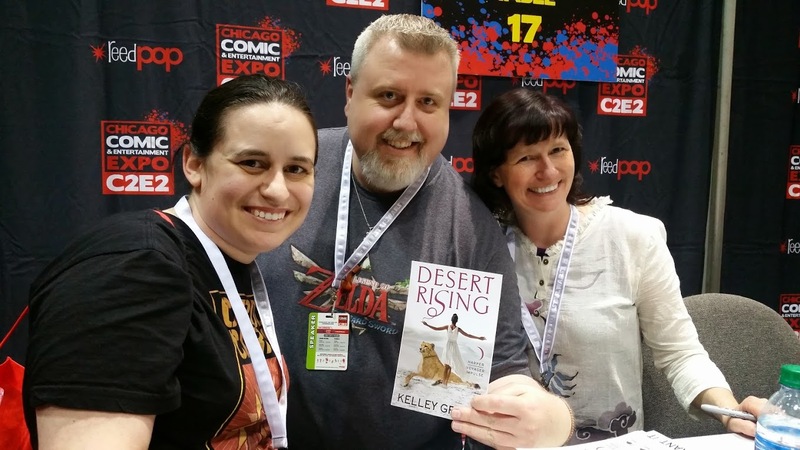 Two other Harper authors were there as well, Lexie Dunne (on my right) and Kelley Grant (on my left). The panel was a lot of fun, with lots of audience participation. During which I got to meet Wesley Chu (who is insanely funny and a really nice guy) and Mike Shepherd (who might be the nicest man I’ve ever met). I also crossed paths with Naomi Novik again (I was on a panel with her in New York) and she even remembered me. That’s always an ego boost! Like New York Comic Con, it was exhausting, but a lot of fun. The costumes were amazing! 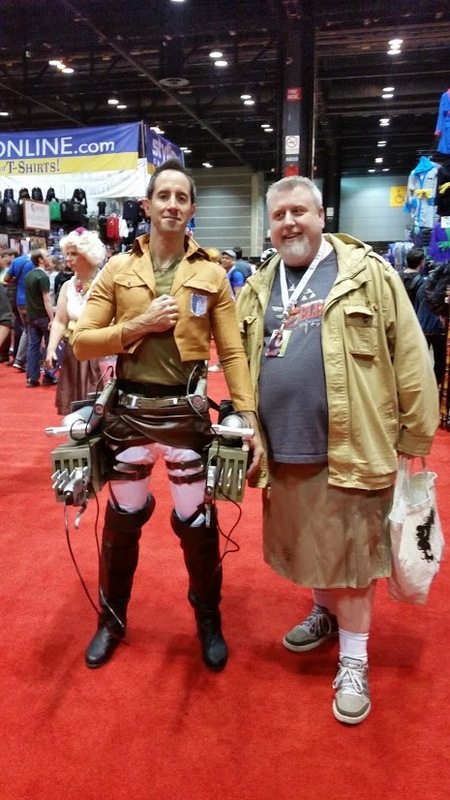 My personal favorite was in Attack on Titan gear, handmade no less. Though without a doubt, the most original costume I saw was near the end. 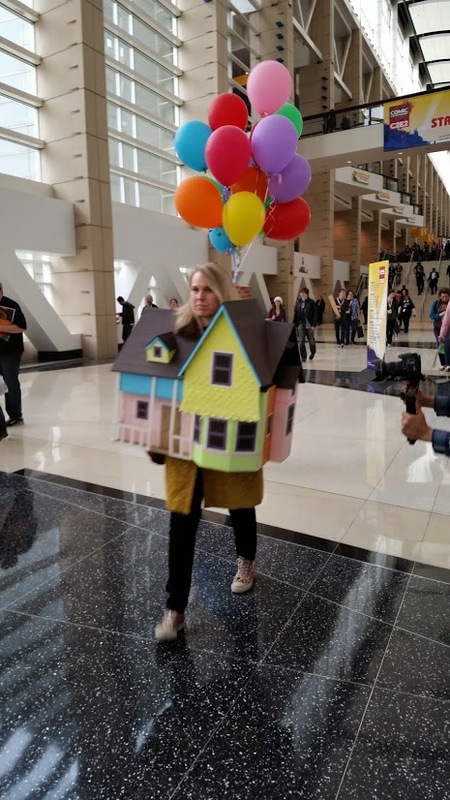 Yes, she’s the house from Up! It was great to meet new readers, and I spent some time at the Anderson’s Bookshop table, who was supplying the books (and might still have some signed copies of both The Stolen and The Forgotten on hand). I met some readers, and even charmed a few people into buying some copies. But really, who could resist that face? 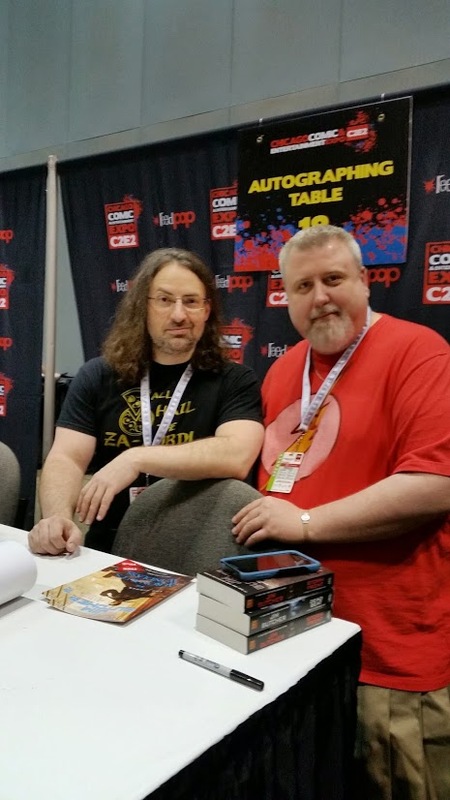 As was the case in New York, one of the best things about attending Cons is getting to meet authors. 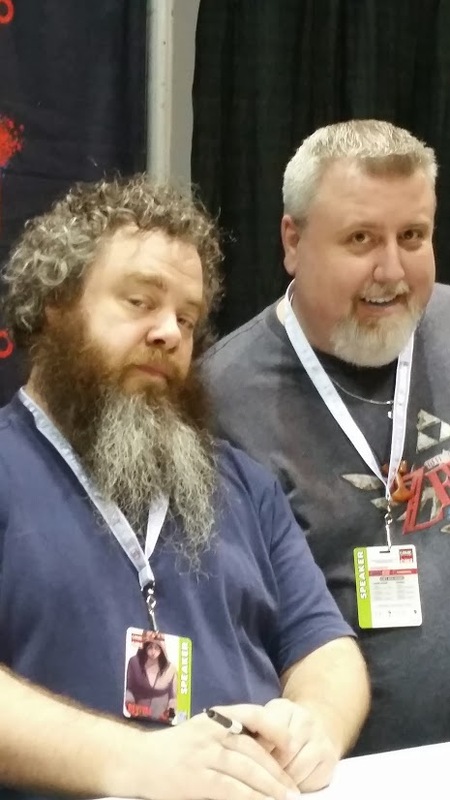 I got to meet Patrick Rothfuss who was incredibly gracious, and absolutely hysterical on his panel. 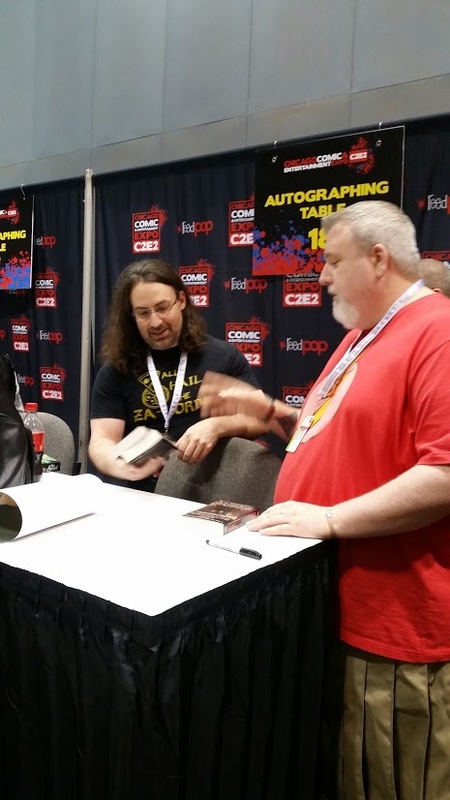 For me though, the highlight was getting to meet one of my all time favorite authors, Jim Butcher. I admit, I geeked out a little when I found out he was going to be there. Then I found out he would be signing immediately after me, at the same table. After some reaching out of my people to his people (yes, as it turns out I do in fact have people, who knew?) I was told he would be happy to meet me between signings. We’re totally BFFs now. That was a joke, Jim. He was incredibly down to earth, gracious, and friendly. He also accepted the signed copy of The Stolen I brought for him, with the page number noted of my nod to Harry Dresden. Like when I met John Scalzi, I was blown away by how friendly and approachable he was. He’s a bestselling author, had a TV show made out of his series (which is actually how I discovered it), and yet he took a few minutes out of what had to be an insane schedule to talk with me. Class act. Overall, it was amazingly fun. I look forward to doing more Cons (if my editor or publicist is reading this, hint, hint), though I’m okay with them being spaced out. If you get the chance to attend, do it. Attend some panels, and if there are authors there, pick up their books and get them signed. You might not like them, sure, but you might just find a new favorite, and on behalf of us authors not quite to the level of Rothfuss, Scalzi, or Butcher, we appreciate it more than you can imagine. This entry was posted in Appearances, Writer's Life and tagged C2E2, Comics, The Forgotten, The Stolen, Writers by bishopoconnell. Bookmark the permalink. Bishop – it was great meeting you and your wife finally! 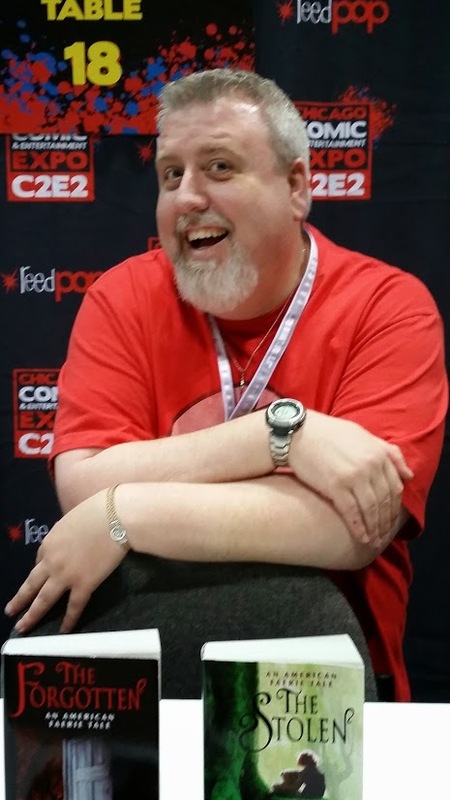 I can’t say that I really enjoyed C2E2, but it was a really great experience and I learned so much. I would totally do it again, though it took we a week to recover from being around such huge crowds. For me the highlight was meeting all the people I only knew online like you and Lexie and Tim. And it was pretty cool (but nervewracking) being on the Naomi Novik, Peter Brett, and Patrick Rothfuss panel – whew.